Our signature Knockout! Class was created to give participants an intelligent, fun and challenging way to burn calories and get their sweat on! Kicking, punching bobbing and weaving can work up a sweat. Add full body strength, and conditioning moves into the mix, and you have a near complete workout. What’s more is you will also be learning a skill that’s likely to give you the confidence to take on some of the challenges in your everyday life. As an added benefit wouldn't it be cool to de-stress after a tough day by wailing on a 100 lbs-heavy bag!? If you haven't tried it, give it a shot. The class consists of 3 x 3-minute warm-up rounds to teach you the basics and to safely prepare you for the more difficult rounds. Following our warm-up rounds, we get more serious with 5 x 5-minute rounds. This is where we get moving. It’s an all-out assault. Making sure you always focus on technique and execution, however, will be your ticket to burning those calories. • Be coachable; we are here to HELP YOU! • Be helpful, friendly and respectful to all class members. We are a community! S- sustainable. The Knockout! Class is multidimensional and complete. If …the client does this class, it should feel like a complete workout. M-motivational. Clients feel inspired and empowered. Fear of the unknown or something new is very common among fitness participants. Our goal is NOT to crush clients but to elevate. L- length. The duration of the work intervals is appropriate and realistic. 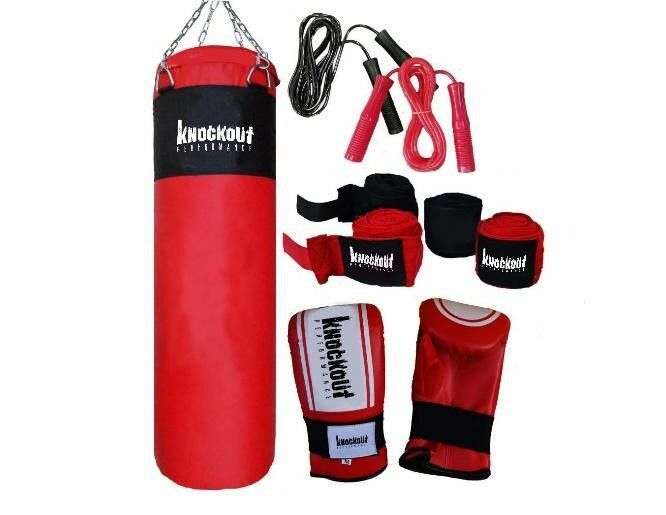 Timed sets are used instead of reps because it accommodates all levels of fitness in the Knockout! Class. E- enjoyable. The ENTIRE experience must be enjoyable.